This window rubber seals are suitable for fitting either Perspex, glass or acrylic into boats, cars, vans etc. It allows for easy replacement of damaged windows. To find your required size measure your glass and panel thickness. The rubber will seal approx -1mm (e.g. 4mm glass will seal in a 5mm gap). It is recommended to bed the rubber in with a silicone sealant. Quality examined these Window Weather Seal are available in the market in multiple sizes. We are ranked amongst the trusted firms engaged in providing a wide range of UPVC Window Seal Strip Gasket. Keeping in mind the diverse requirements of our customers, we are engaged in offering a wide range of UPVC Window Seals. 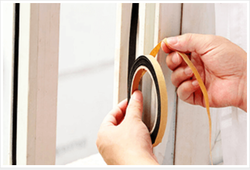 We provide UPVC Window Seals to our patrons as per their needs and at affordable rates. Moreover, customized products are provided on client’s request. With an objective to fulfill the ever evolving demands of our clients, we are engaged in offering a wide assortment of Window Rubber Seal. We manufacture Safari Tailgate Fixed Window Seal which is known for its effective functioning among its users. Advanced process is used in the production of this component which includes flock, adhesive and surface treatment unit. It can be modified according to client requirements. We are the remarkable entity, engaged in offering a superior range of Window Rubber Seal to our valued clients. 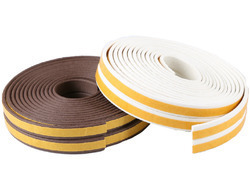 we are deal in this E P D Rubber window seal.